The second meeting of the European project Exploring the combined role of genetic and non-genetic factors for developing AMD: A systems level analysis of disease subgroups, risk factors, and pathways (EYE-RISK) took place in Majorca on 15-17 October. This examined the current state of the project, shared the progress made so far by the research centres and defined the immediate lines of work. 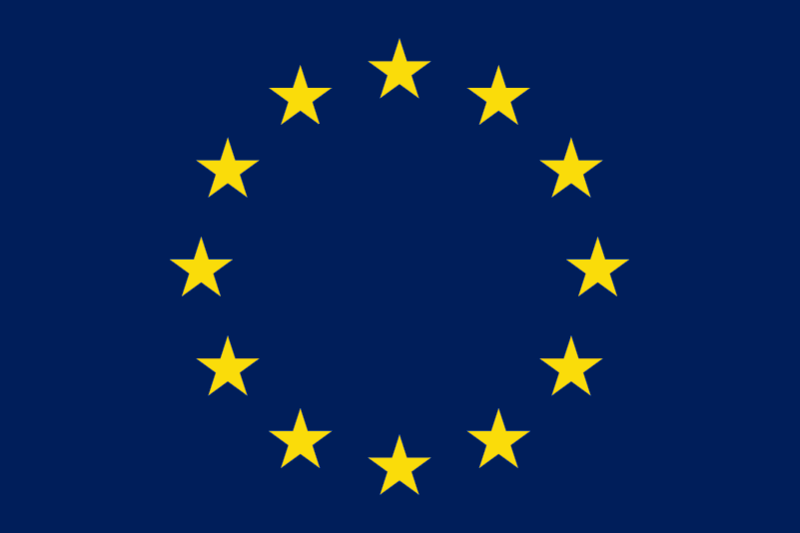 The project links European specialists in areas as diverse as basic research, molecular and systems biology, genetics, epidemiology and clinical research. Consequently, a key aspect is the integration of the information generated by each group and its applications for the rest. All this takes into account that the final objective is the creation of guidelines and clinical recommendations that translate into an improvement in the quality of life of patients with Age-Related Macular Degeneration (AMD). Over the coming months, the Consortium will continue integrating the different existing databases of other epidemiological studies on AMD at European level into a single one, the “EYE-RISK database”.This will therefore become the largest database to be created at this level. In addition, the protocols for the analysis of blood and genetic tests will be defined, patients will be contacted for the extraction of samples and a platform will be developed for the detection of biomarkers of the disease in blood, among others. Primary role of the Barcelona Macula Foundation: Research for Vision in the EYE-RISK Project consists of contributing the clinical vision to the project, ensuring that its results have direct implications for the patients. 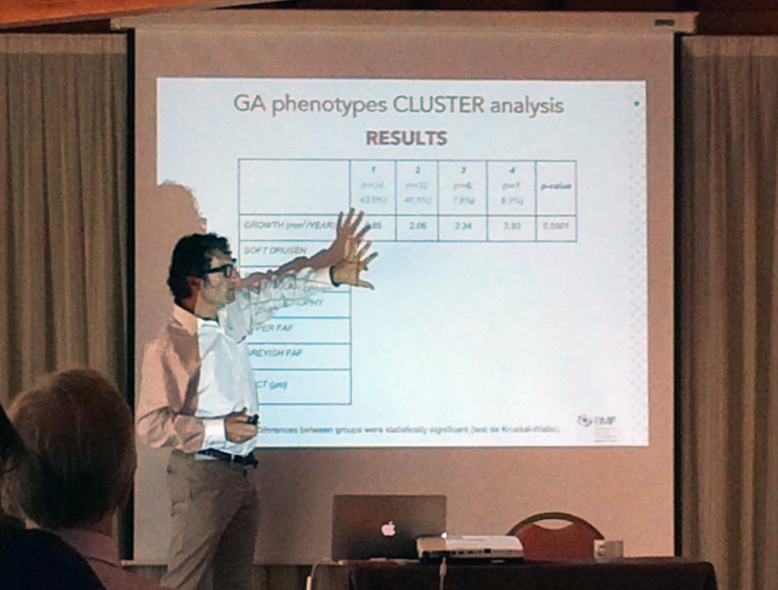 Accordingly, Dr. Jordi Monés presented “GA phenotypes with cluster analysis", a study that demonstrates that there could be different subgroups of patients with Geographic Atrophy (GA), one of the advanced variants of AMD. These variants would be associated with progressions of the disease that differ greatly in each group. This has an important predictive value and paves the way for the study of different mechanisms that may lead to treatments customised for each patient in accordance with the causes that give rise to their disease. During the meeting, the international expert Tim Radstake gave a lecture entitled “Systems medicine to understand disease". He considered a global approach to patients with inflammatory diseases, in which information generated by different studies (proteinic, metabolic, genetic etc.) will be integrated in order to better understand their condition. This will benefit patients, a central aspect in the EYE-RISK study. This second meeting also included the presentation of the new project website. This features descriptions of the project and its participants, the latest news and links of interest related to the topic. 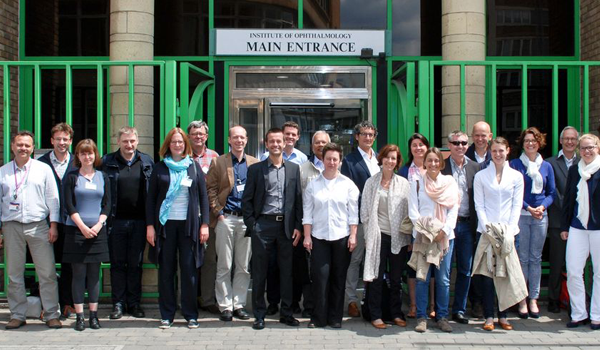 EYE-RISK has received funding from the European Union’s Horizon 2020 programme under Grant Agreement No. 634479.